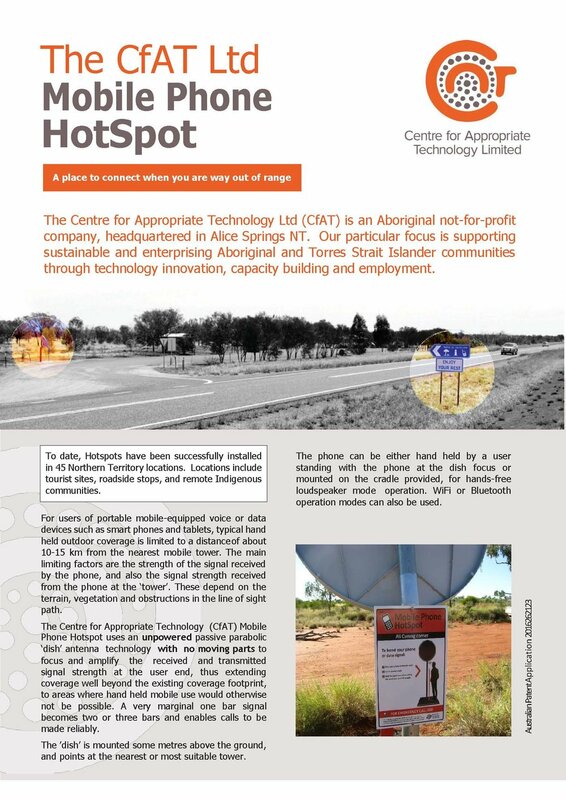 CfAT has had long experience in providing a range of appropriate technology services to Aboriginal and Torres Strait Islander communities in Australia. In the 1980s and 1990s these services were largely focussed on mechanical products and training associated with helping people to live productively on country. CfAT designed and fabricated household items such as water heaters, water pumps, washing machines, toilets, and ovens. Since 2000, the focus has shifted to include community level infrastructure, as there has been an increase in the availability of conventional housing, whitegoods and services in remote communities. Community level infrastructure includes elements such as water and waste management systems, energy supplies, telecommunications and transport. At the same time, CfAT’s role has evolved to include greater provision of independent advice in these areas, rather than being the builder and supplier of the goods themselves. The natural evolution of this process has been the recent development of the National Indigenous Infrastructure Guide, produced by CfAT. CfAT was the compiler and major contributor of subject matter for the Infrastructure Guide. The Guide is a complement to the National Indigenous Housing Guide, first published in 1999 which focused on environmental health in Indigenous housing. 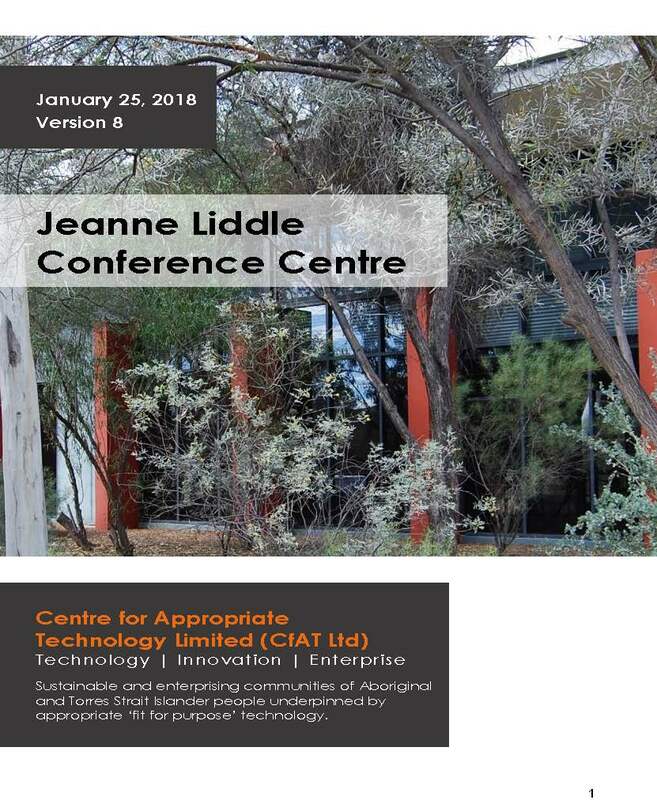 The National Indigenous Infrastructure Guide provides an integrated framework for understanding major infrastructure provision issues for remote communities. While the Housing Guide focused on safety and health, the Infrastructure Guide is themed on sustainability. Integral to it is an emphasis on involvement of community members, especially in the maintenance and management of infrastructure. Rather than being a comprehensive ‘how to’ manual, it seeks to provide community managers, local and state government officers, and those working in planning and developing infrastructure projects with an awareness of the issues that need to be considered when working with various aspects of infrastructure. Its modest technical scope can be expanded as demand requires. It also extends beyond these specific technology areas to discuss approaches to community involvement, project management, infrastructure asset management and maintenance. The development of the guide involved thorough peer review and reference group processes involving subject matter experts external to CfAT who have extensive experience in remote community infrastructure. 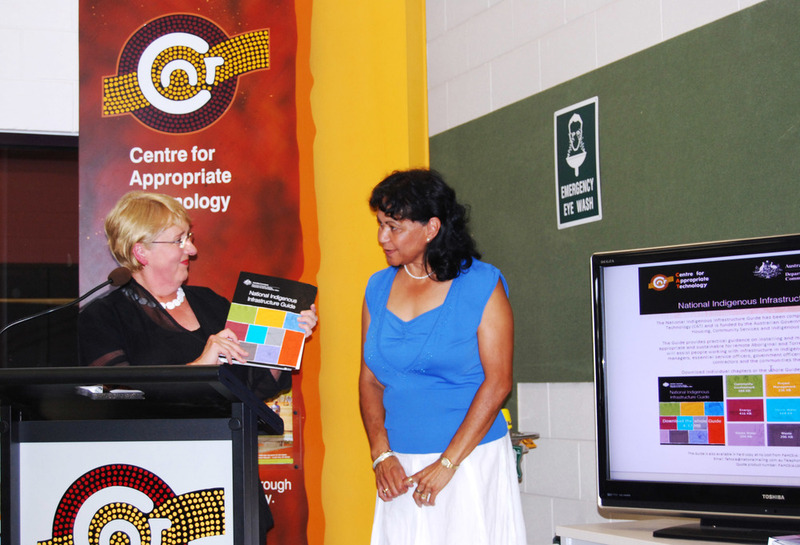 Funding for the project and management of the editorial and publication design tasks was provided by the Australian Government Department of Families, Housing, Community Services and Indigenous Affairs. Since December 2010, over 12,000 copies of the NIIG handbook have been downloaded (free) from the CfAT website. The most popular downloaded chapters of the NIIG Handbook have been those on stormwater, waste water and water supplies. NIIG is also being used by outstation resource agencies for consultancy and training purposes.